Double ended HPS technology is making its presence known in the growing world with some of the best results produced by any grow lights yet. 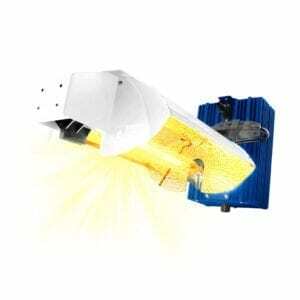 This lamp technology has shown horticulturalists a new path to greater yields and quality. 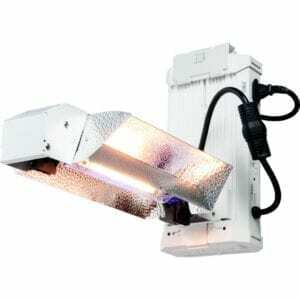 Double-ended HPS lights are now emerging from several reputable manufacturers in the hydroponics industry. The effects on yields are exceptionally positive for what seems like 100 percent of growers who try them. 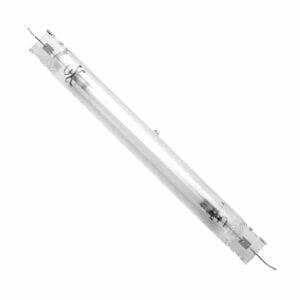 So, what makes double ended HPS lights so special?… For starters, double ended HPS bulbs degrade slower than traditional, single-ended or mogul base bulbs used in standard high pressure sodium lights. 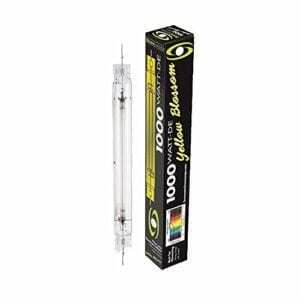 In fact, after 10,000 hours, double-ended lamps will still output approximately 90 percent of their original intensity. 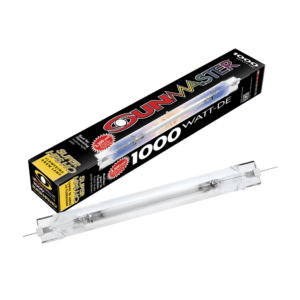 Our selection of of double ended grow lights offers systems that provide all or these benefits, including some of the most popular DE fixtures on the market such as the Gavita Pro 1000 E-Series DE. 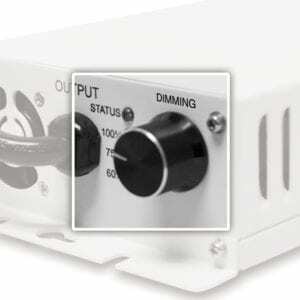 Next, the spectrum and relative energy measurement dictated in micromoles far surpasses that of the industry-standard high intensity discharge (HID) mogul technology. Micromoles is a term we are hearing more and more in our industry. 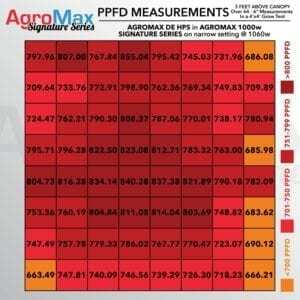 It’s a measurement that provides a comparative reference to understand what crops need in terms of light level requirements for particular crops and their various phases of growth. 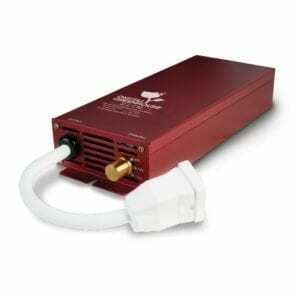 The double-ended HPS lamp has been recorded to produce more than 2,000 micromoles, whereas traditional mogul-based technology falls as low as 50 percent less with identical variables. Think of it this way: you’re using the same amount of energy to produce up to 50 percent less usable light to your crop. In some cases, this variance is the difference of up to double the yield per lighting fixture replaced. 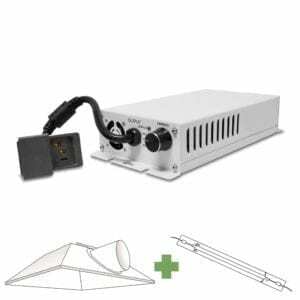 Aside from use during blooming / fruiting & flowering production, double-ended HPS lights work great for promoting vegetative growth as well. However, the concentrated wavelengths of lower nanometer range spectrum, a.k.a. red light, is favorable in blooming production areas. In other words, these lights excel in bloom production scenarios. 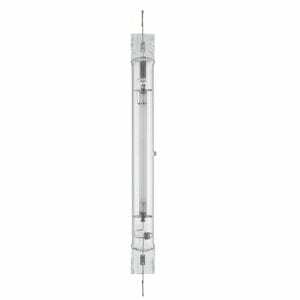 Double-ended HPS bulbs are more stable than traditional, single-ended HPS bulbs, and this allows them to have a 10 percent increase in light intensity and PAR output over traditional single-ended HPS bulbs. 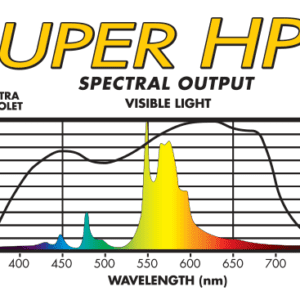 Double-ended HPS bulbs also emit more UV and IR light than traditional bulbs. 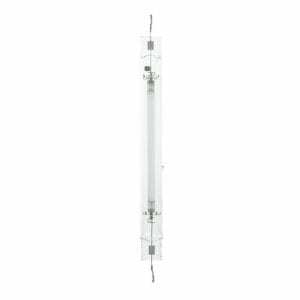 With a variety of DE reflector styles available, from adjustable-wing style reflectors to air-cooled models and non-air-cooled attached ballast models, there is a type of double-ended light to fit any growing scenario. Many growers claim one of the biggest benefits of double-ended lighting is larger footprints from the same energy consumption. 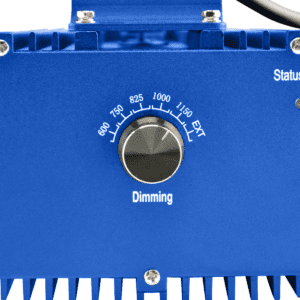 According to light level measurement devices, double-ended lights are brighter and can cover larger surface areas in comparison to standard 1,000W light systems. Higher ceilings are recommended for operating double-ended lights so larger footprints may be achieved, which could ultimately result in larger yields due to the increased growing area. 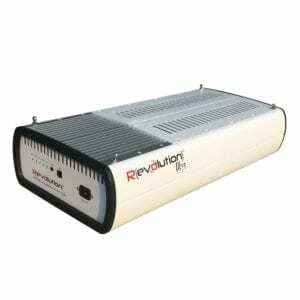 Open-hood, non-vented reflectors will emit more heat from the lamp than air-cooled models. Greater ceiling heights are required to avoid canopy burning and other phototoxic effects on the crop. 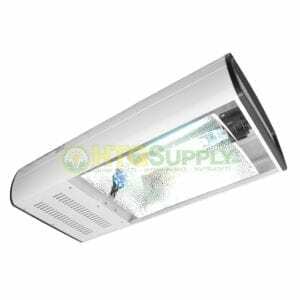 These lights perform better at three to four feet from the canopy, rather than the standard one to two feet. Of course, these distances are subjective dependent on environmental conditions, but keep in mind the higher the light, the bigger the footprint and the less hot-spot concentrations occur. As mentioned earlier, the reflector’s design will influence footprint and canopy coverage. 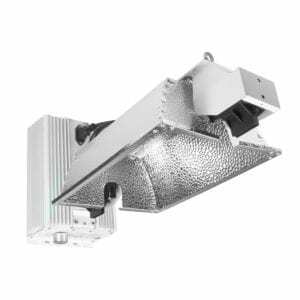 Some of the air-cooled, double-ended reflectors concentrate the light within a confined footprint directly under the light, while other open-hood style designs spread light for maximum distribution and even coverage. Consider these factors when purchasing a light system as they will affect the overall productivity in the grow room. 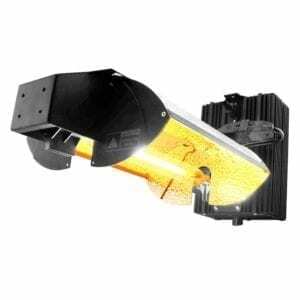 Aside from the distance between canopy and fixture, another question that always comes up for growers is, “How hot do these lights run?” In comparison to mogul or traditional HID lights, there is really no difference. The same kWh (kilowatt hours) is still being consumed to operate both styles of lights; therefore, heat output is matched through watt to BTU produced. 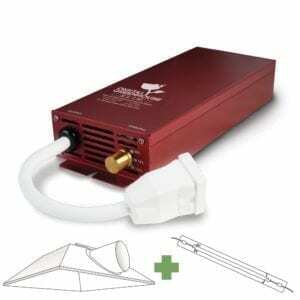 Air-cooled lighting is not applicable to this question as there are multiple factors that can determine the heat output when using an air cooled reflector in conjunction with a blower or inline fan. For example, a grower who uses 1,000 CFM of room temperature to cool eight 1,000W lights might have a different heat output compared to if they were using 1,000 CFM of air-conditioned air to cool the same set-up. 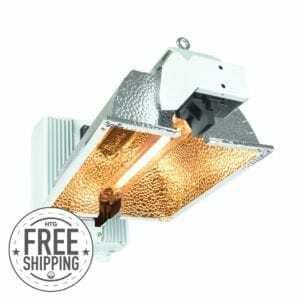 Basically, for open-style reflectors with no air cooling, 2,000 to 4,000 BTU of air conditioning is recommended for every 1,000W light in the room. Now for the good stuff. Research shows that double-ended HPS lights are increasing yields by anywhere from 20, 30 and 50 per cent. Several reports from side-by-side grows have concluded up to double the yield when swapping a fixture for a fixture. So, how is this possible, especially when using the same amount of input power? Well, as mentioned earlier, the increased micromole output per watt means that increased footprints are applicable. 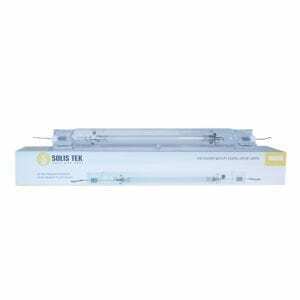 The industry standard 4×4 foot grid per 1,000W light is easily increased to 6×5 ft, and even greater in some cases. 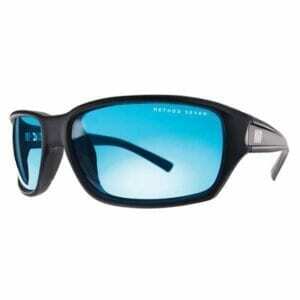 Again, reflector design and style will influence the shape of the footprint produced. Our recommendation is to implement air conditioning and go with an all in one fixture or an open-air reflector design if space permits. 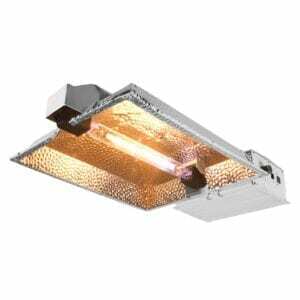 For basements and other low-ceiling scenarios, and air cooled reflector model will suffice just fine.